Latching solenoids come equipped with a permanent magnet, exhibiting magnetic attraction between the plunger and pole piece with no electrical power applied. Latching solenoids are well suited to applications where the “moving” time is very short compared to holding time in the closed position. Latching solenoids are also ideal in applications where either the open position or the closed (pulled in) position must be held for prolonged periods of time. Latching Solenoids are extremely well suited to locking mechanisms. They can be driven in either direction and can hold in either end position with no power applied. A short power pulse is all that’s needed to stimulate movement. We're here to help - Contact Geeplus today! 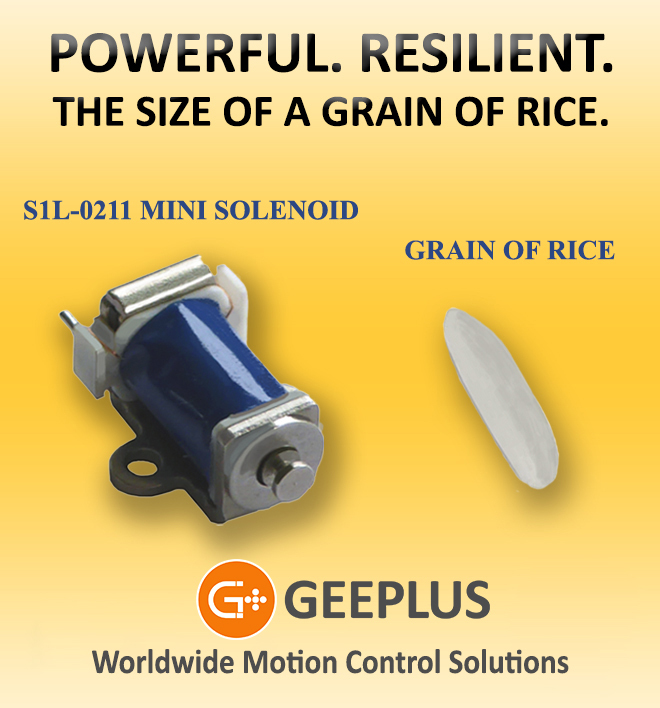 Next Generation Motion Control Solutions!